I ordered one of these jumpers to try and am very pleased. Will now order two more. This is a lovely jumper. When we got it out of the bag in artificial light the grape colour seemed slightly odd (greyish) but nice enough. In daylight it is lovely. It is now being saved for a special occasion to show it off properly! The delivery service was very good. Excellent very quick delivery, well packaged. Very good fit and washes beautifully. Only hope it doesn’t get moth as my previous one did. Delighted with my jumper and have ordered two more of the same style. So may jumpers these days are far too long for me but this is just right. These are lovely jumpers.keep shape wash after wash.I have 7 presently! I buy a new one most years! 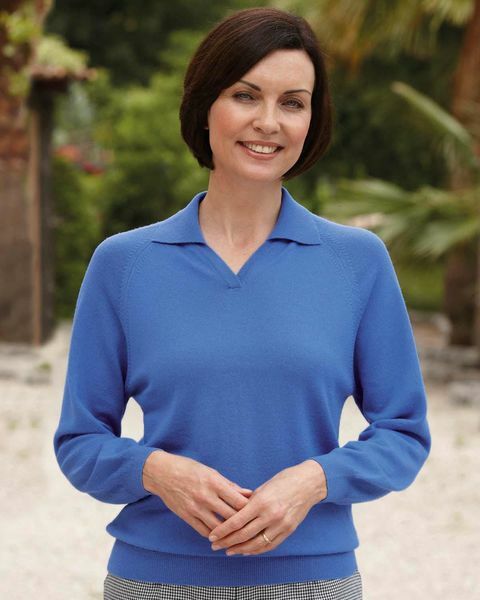 I'm keeping this jumper as I love merino wool. However PLEASE could you make this collared jumper in BLACK. I already have the navy one. very pleased with the product. I will be ordering in different colours. Lovely item. Quick delivery. Good fit. Comfortable to wear, easy to wash and so pleasing to look at. So glad I found them. I am thrilled with my sweater it is in a style and quality I love and haven't been able to buy for several years. Then a friend told me about Country Collection and loaned me her catalogue. I came on line and there it was! 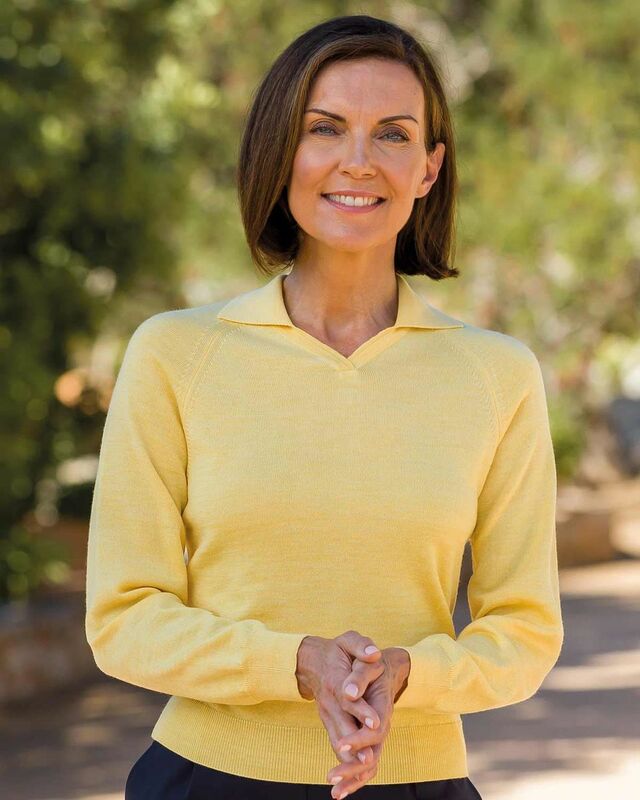 Ladies classic merino wool Knitted v neck sweater. Raglan sleeves with finely ribbed cuffs, collar and welt. A great way to keep warm in an array of co-ordinating colours. Style with any of our seperates for an elegant look. Bust (Actual Bust Measurement) XS-36", S-38", M-41", L-45", XL-48"
"I ordered one of these jumpers to try and am very pleased. Will now o ..."